Publishers, you're in the software business now. Pragmatic treat ebooks like software. They manage releases, distribute, and communicate with customers about their products like a software company. This is big. I decided recently to polish up my coding skills and get serious about learning Ruby. After several online tutorials, I was ready to dig in deeper and buy a book. I researched, read reviews and chose Programming Ruby from The Pragmatic Programmers, not just for the positive reviews, but for their innovative view of ebooks. As Marc Andreesen proclaimed last year, software is eating the world. Pragmatic is proof. When you buy an ebook from Pragmatic, you’re given several choices of format and delivery options. Download in any of the major ebook formats and go about your way, or let them do the work for you. Supply your Kindle’s email address, click to authenticate to your Dropbox account, and they deliver it to both places. 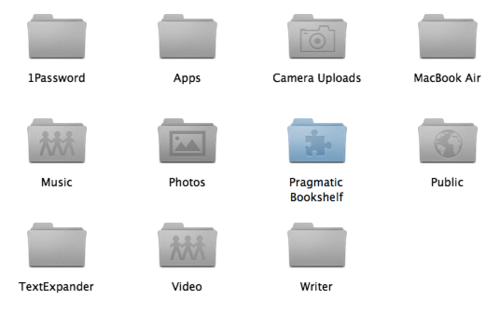 Better yet, they install the Pragmatic Bookshelf folder in your Dropbox. As simple as it is, this where the magic happens. From this point on, updates to any titles you’ve purchased are pushed to you automatically. I’m willing to bet that I’m not alone in the delight I experienced reading this email. We geeks get excited about this sort of thing, sure, but there’s more to it. As a customer, having positive action taken on your behalf, unsolicited, is a Good Thing. And how often does this happen in the world of publishing? Not often enough, which is why Pragmatic stands out and other publishers should take note.